This custom handcrafted high back chair was completely designed with style, quality, and comfort in mind. This one of kind style is very unique with a custom designed back rest that boldly stands out while maintaining comfort. 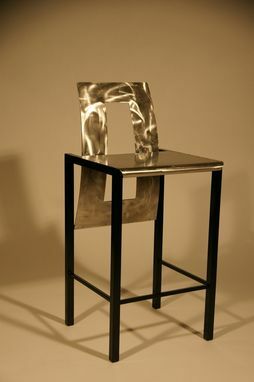 This chair is hand constructed and welded with care and will last for generations.